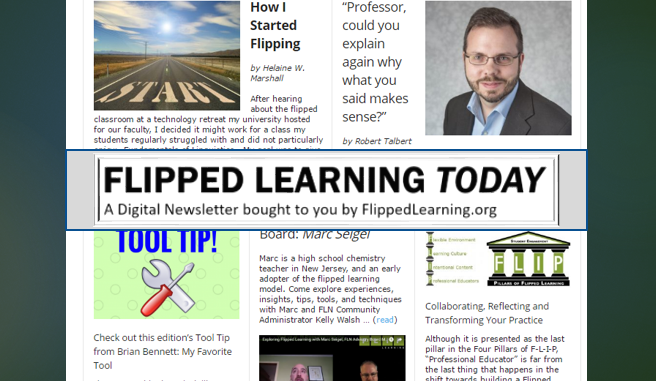 I have been planning the FlipTech New England conference for several months, with lots of help from some terrific people. There are lots of decisions to get made (“How many vegetarian options should we offer for lunch? !”), but few dilemmas seem as serious as the Keynote Address — the classic opening event of any professional conference. 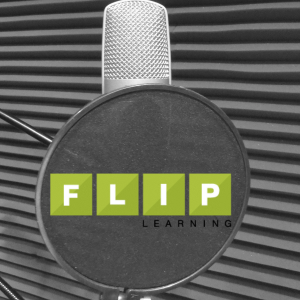 Dave Walsh set the bar really high when he landed the flipping OG Aaron Sams and the FLN’s media guru Kelly Walsh for FlipTech East Coast in 2018. How could FTNE possibly compete?! Well, of course the answer is that it’s not a competition. 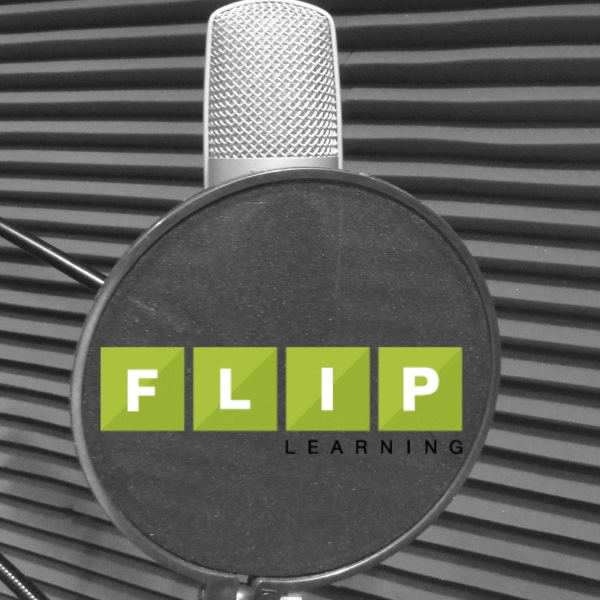 FlipTech is all about community and cooperation. Okay, but the problem remained: How can we attract educators to this conference? 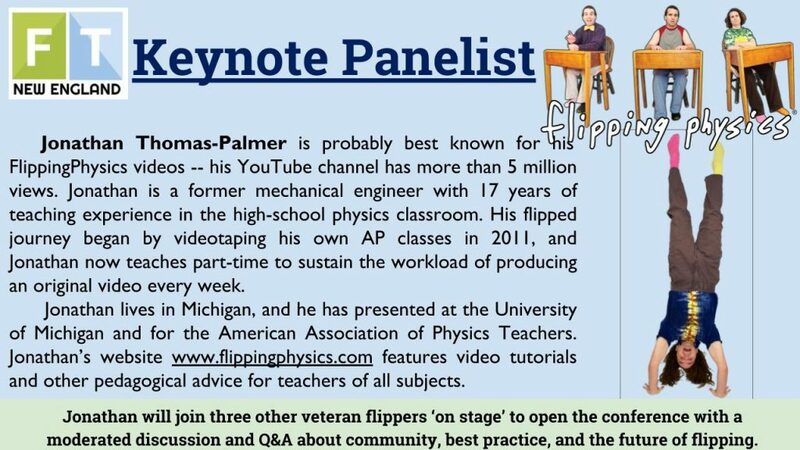 For a couple weeks in November, I seriously considered a fully-flipped conference: all presenters, including the keynote, would record a video introduction. 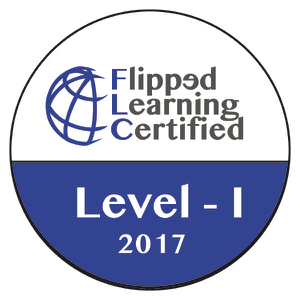 All attendees would be expected to watch the videos before each session, which could be more interactive and dynamic because the teachers in the audience would already enter with essential understanding! Sounds cool, right?? What if people don’t have reliable tech access? What if the technology doesn’t cooperate? What if they don’t do their homework?! 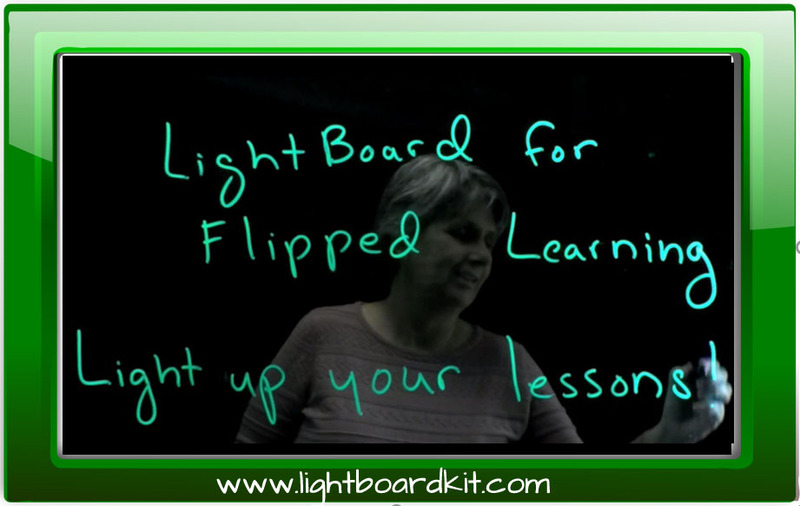 However, even after my wife talked me out of this plan, I clung to the idea of flipping the keynote somehow. 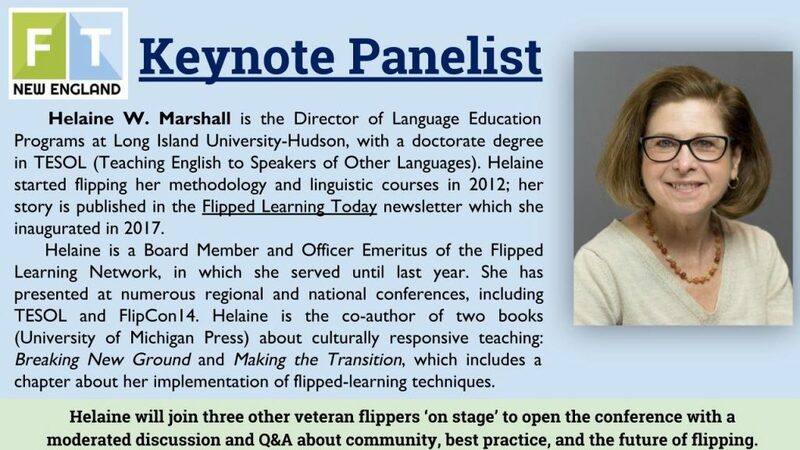 Having one person stand on stage and talk to the crowd for an hour — isn’t that the opposite of flipped teaching? Of course, it can be done successfully by engaging and relevant presenters … but is lecturing to a crowd the best use of group-space time? That is one of the questions that shape all my lesson and unit planning, and it’s what brought me into this method in the first place. How would I want to spend that hour in an auditorium? I am delighted to have 2 women and 2 men on the panel, and that we have balanced representation of STEM and the humanities. Ironically, though, none of these panelists actually live in New England! Cliff and Jonathan are flying from the Midwest, and Kate and Helaine will have to drive up I-95 to Waltham. 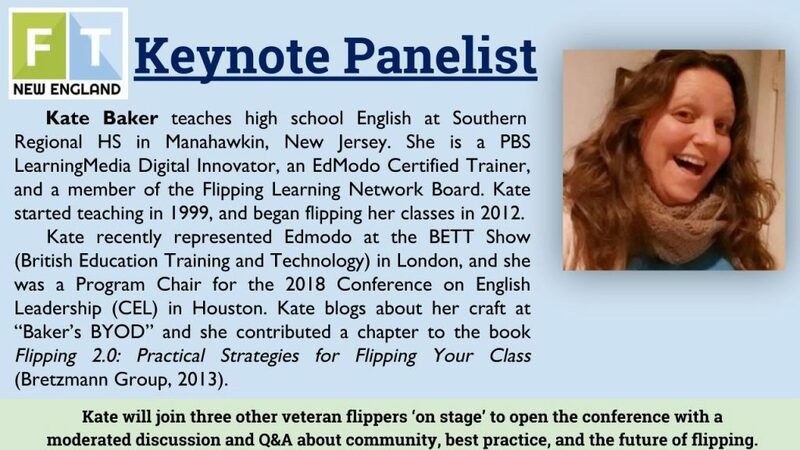 These four educators also represent various perspectives on flipping from their current job titles — Kate is the only full-time public school teacher, as the others operate in different vital capacities for students. I will probably serve as the moderator of this discussion, which could cover a wide array of topics. Certainly, we must ensure to involve members of the audience. There are multiple ways to accomplish that, including at the very least some Q&A with the panel. I also intend to schedule some processing time after the Keynote Discussion, before we dive straight into the individual teachers’ breakout sessions. 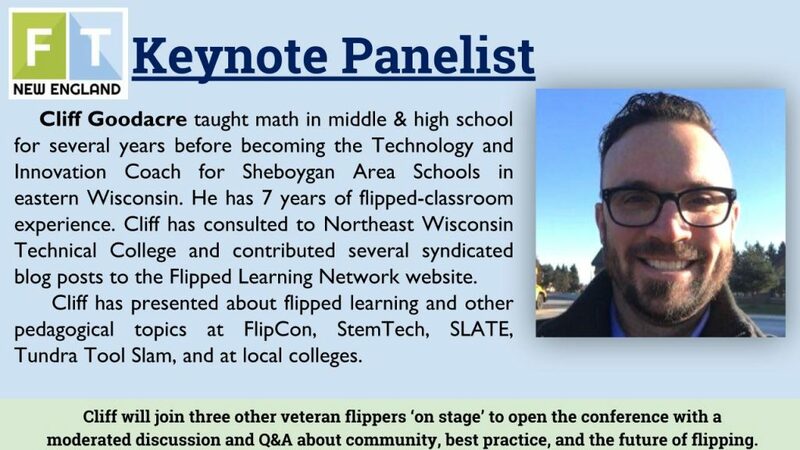 At FlipTech East Coast in June 2018, my brain was already full at 9:30 after Aaron Sams’ keynote, but I never got a good chance to talk about it! I had to focus on prepping my own presentation instead. Save The Date and Get Signed-up For ILFABN!